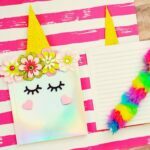 DIY Unicorn Mini Canvas - Frugal Mom Eh! 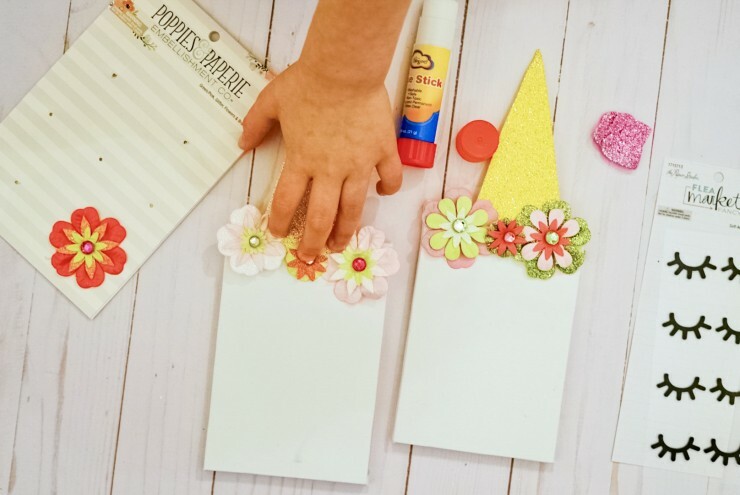 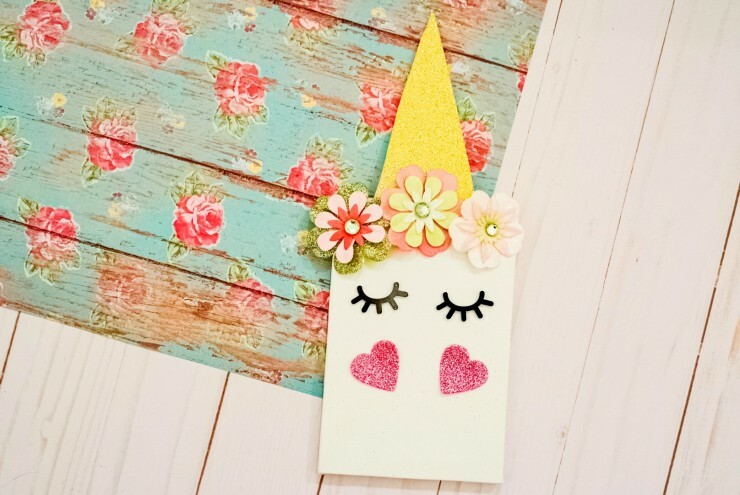 This Unicorn Mini Canvas is a fun and simple unicorn craft for kids. 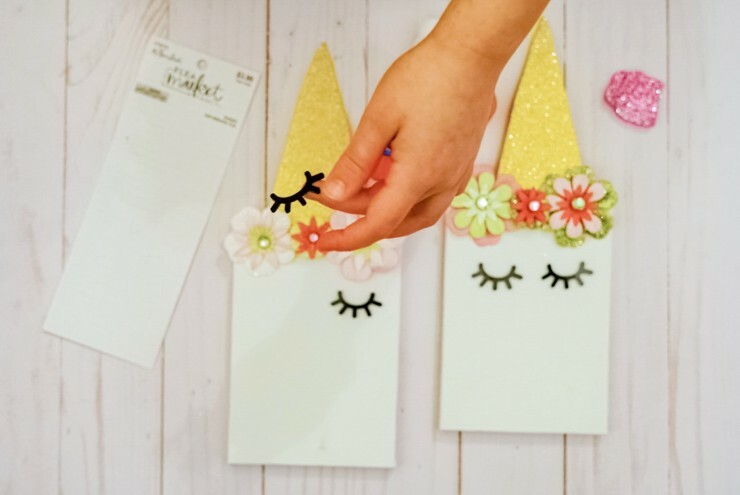 Kids will have fun creating and showcasing their perfect mini unicorn art in their room. 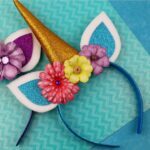 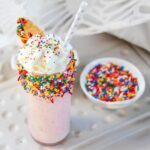 All supplies for the unicorn craft came from Hobby Lobby! 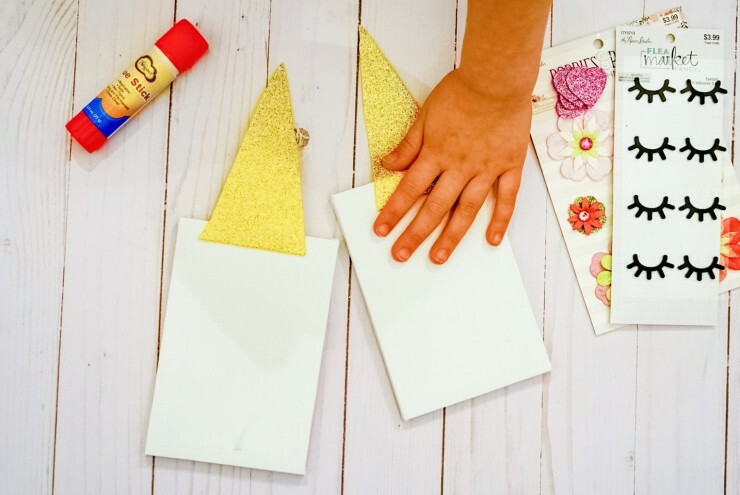 Take your sheet of gold glitter paper and cut out a unicorn horn. 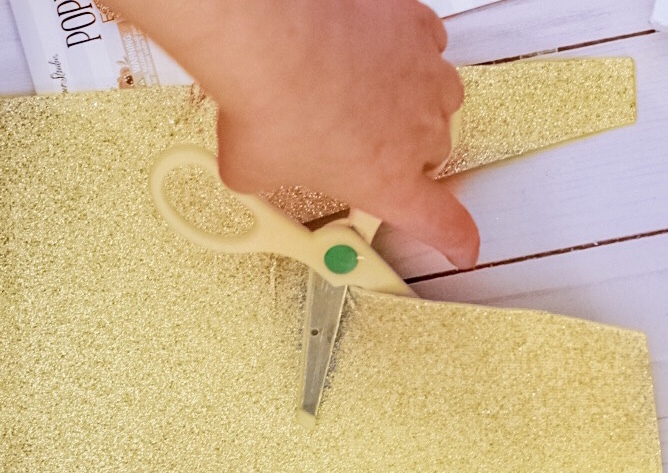 Glue the gold glitter unicorn horn onto your mini canvas. 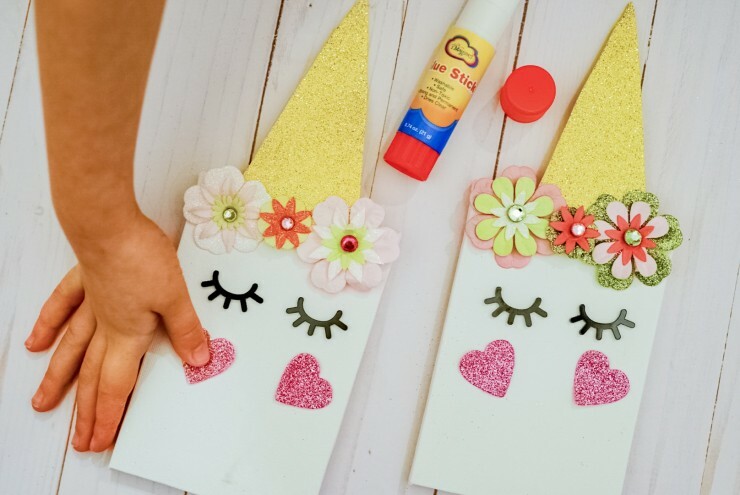 Now take your flowers and glue/stick them onto your canvas. 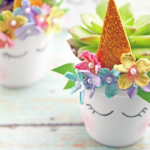 Make sure to position the flowers where so they cover the edge of the unicorn horn. 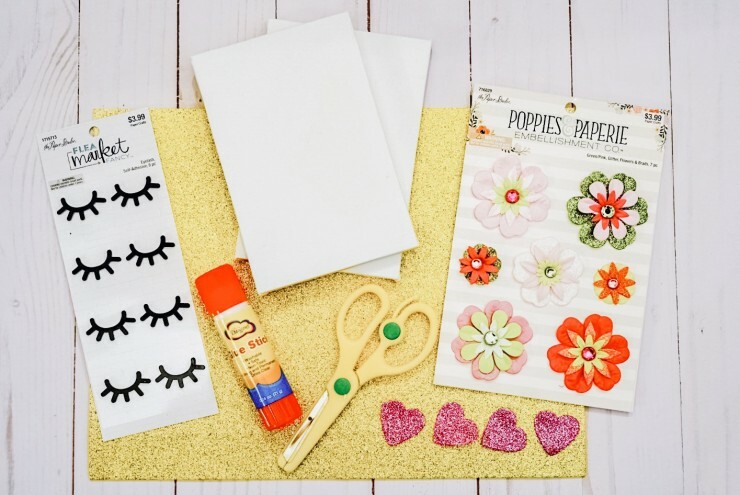 Glue on your eyelashes below the flowers. 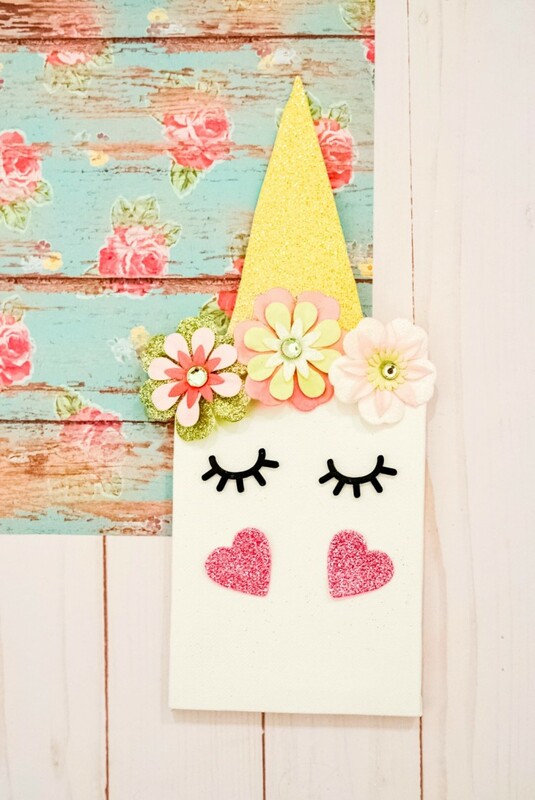 Glue on glitter hearts below eyelashes to create cheeks. 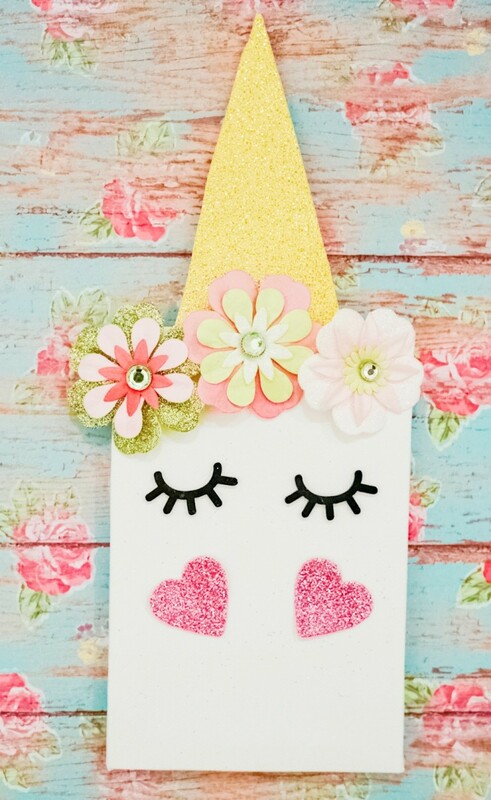 And just like that you have yourself a mini canvas unicorn – perfect to set up on your desk or hang on a wall!